Ph.D. in Hydrologic Sciences with an emphasis in Surface Hydrology and Stream Ecology, University of California, Davis, March 2005. M.S. in Geology with an emphasis in Fluvial Geomorphology, University of California, Davis, September 2000. B.S. with honors in Environmental Biology and Management and a minor in Geology, University of California, Davis, June 1995. Sarah is an Associate Project Scientist at the Center for Watershed Sciences. Her studies focus on integrating the traditional fields of hydrology, ecology and geomorphology in the river environment. She is currently conducting research that applies understanding of river ecosystem processes to managed systems in the Sierra Nevada, with a focus on the development and maintenance of riverine habitat. 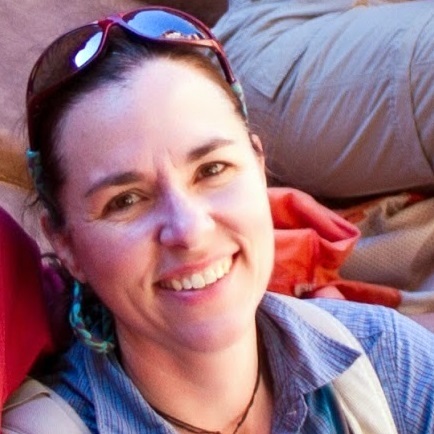 She is a recognized expert in the ecology of the Foothill yellow-legged frog (Rana boylii), a California species of special concern, and she is the first researcher to apply sediment transport and two-dimensional hydrodynamic modeling techniques to the evaluation of instream amphibian habitat. Her experience includes consultation as a technical expert for various hydroelectric power relicensing projects (Big Creek Project, Desabla-Centerville Project, Middle Fork American Project, Yuba-Bear/Drum-Spaulding Project, Spring Gap-Stanislaus), where she has work closely with government resource agencies and the private sector to assess the impacts of environmental flows on aquatic biota and provide recommendations for developing flows that improve the functioning of river ecosystems. More recently, her experience has expanded to include evaluation and restoration of headwater systems, particularly montane meadows in the Sierra Nevada and Cascade ranges. Development of statewide environmental flow framework for California (in collaboration with UC Berkeley, Southern California Coastal Water Research Project (SCCWRP), CalTrout and The Nature Conservancy (TNC), funded by TNC, SCCWRP, and State Water Resources Control Board, 2016-2020). Evaluation of the carbon sequestration and biodiversity benefits of beaver and beaver dam analogue restoration techniques in Childs meadow, Tehama County, CA (in collaboration with The Nature Conservancy, Pacific Southwest Research USFS, funded by California Dept of Fish and Wildlife, 2015-2020). Coupled flume, field, and numerical modeling experiments to quantify the impact of storm hydrographs on stream sediment movement (in collaboration with University of Idaho, Caspar Creek Experimental Forest USFS, CA Dept of Fire and Forestry Protection, funded by National Science Foundation, 2013-2017). Evaluation of post-fire ecology and habitat suitability for the Sierra Nevada Yellow-legged frog in the northern Sierra Nevada (funded by US Forest Service, 2015-2019). Assessment of the impact of the snowmelt hydrograph on water quality, isotopic concentration and native species distribution in northern Sierra Nevada rivers (in collaboration with Departments of Hydrologic Sciences and Veterinary Medicine, UC Davis, funded by S.D. Bechtel Jr. Foundation, 2013-2016). Assessment of montane meadow conditions and the impacts of meadow restoration actions on Yosemite toad and Cascades frog and their habitat (in collaboration with Pacific Southwest Research, USFS, funded by National Fish and Wildlife Foundation, 2015-2017). Monitoring and evaluation of Van Norden meadow restoration, Donner Summit, CA (in collaboration with South Yuba River Citizen’s League, Tahoe National Forest USFS, funded by Truckee-Donner Land Trust, 2015-2019). Monitoring of Yosemite toad habitat and Sierra Nevada meadow conditions through remote-sensing techniques (funded by US Forest Service, 2015-2016). Evaluation of upper water temperature thresholds for California and Little Kern Golden Trout in Kern wilderness meadows. (in collaboration with Pacific Southwest Research, US Forest Service, funded by National Fish and Wildlife Foundation, 2014-2015). Development of a framework for assessing vulnerability of montane meadows under changing hydroclimatic conditions. (funded by National Fish and Wildlife Foundation, 2012-2013). Integrated analysis of empirical, hydrodynamic, and hydropower modeling data focused on improving the understanding and management of the spring-snowmelt recession in Sierra Nevada rivers (funded by California Energy Commission, 2010-2013). Evaluation of the relationship between flow regime and channel bar morphology (in collaboration with U. of Idaho, US Forest Service, funded by the National Center for Earth Surface Dynamics, 2010-2012). Development of regional habitat suitability criteria for the Foothill Yellow-Legged Frog (Rana boylii) (in collaboration with Pacific Southwest Research USFS, funded by California Energy Commission, 2009-2011). Development of a conceptual model describing the ecological importance of the spring snowmelt recession in Mediterranean-montane environments (in collaboration with CWS researchers, 2009-2010). Assessment of aseasonal pulsed flow effects in regulated rivers on the Foothill Yellow-legged frog (Rana boylii) using an integration of empirical, experimental and hydrodynamic modeling approaches (in collaboration with Pacific Southwest Research USFS, funded by California Energy Commission, 2005-2008). Evaluation of sediment transport rates and processes in relation to aquatic habitat suitability in the Yuba River basin (in collaboration with USGS, Water Resources Division as part of the CALFED-funded Upper Yuba River Studies Program, 2002-2005). Dissertation Research – Quantifying physical habitat heterogeneity: Concepts, methods, and ecological applicability with emphasis on Rana boylii.